Known for its romantic vibes, there is no scope for disappointment when it comes to places to visit in Andaman and Nicobar for honeymoon. 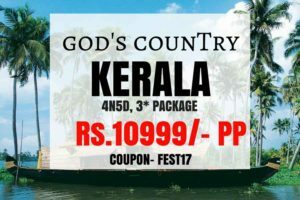 The romantic escape that lets you enjoy the best time with your precious leaves no stone unturned when it comes to offering breathtaking views, surreal beaches, clean and clear waters, shining sand and splendid sunsets. The perfect mix of marooned islands, idyllic views, and never ending stretches of white sand bring out the zest of exploring out in you. It is the best destination to stay closest to the nature, relaxing in its lap. You can further get out of your comfort zone and try couple diving to discover the corals and marine life below the sea. Overall, there are many things to do couples with a number of places worth visiting with your better half that only add on to your romantic trip. 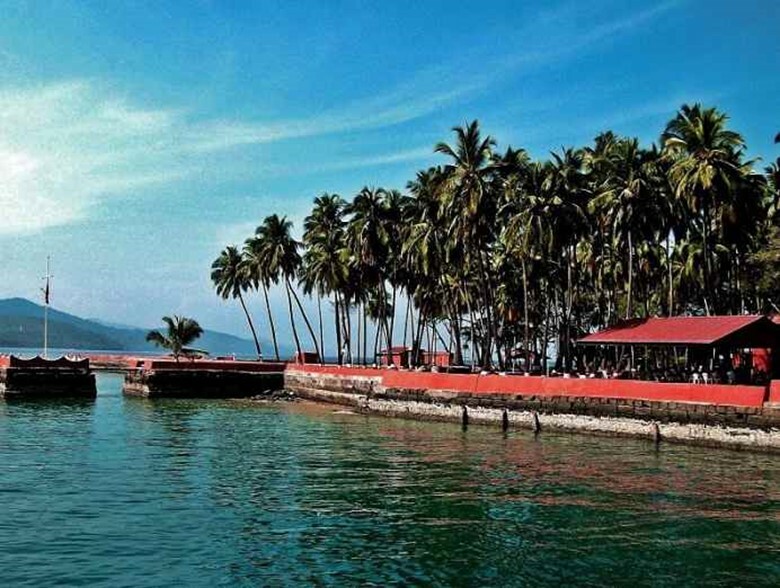 Port Blair, the capital of the union territory has even today maintained its charm. 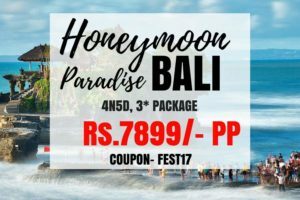 Day tours to various islands, excursions of nature and marine parks, and luxury beach resorts in Port Blair are hot picks for honeymooners. Cellular Jail tour and light & sound show are must see for all visitors in general further heading to live music performances that set great mood for a romantic meal. Here are the top places to visit in Andaman and Nicobar excellent for your honeymoon location. Andaman’s beaches are all very beautiful spots. If you are looking for some peace and a break from the madding crowd, then you need to check out Kaala Pathar Beach. The way to the beach is dotted with greenery and little islands. The beach sees considerably less footfall than Radhanagar Beach and is a good place to spend some alone time in the midst of gorgeous blue water and smooth sands. You could carry a picnic lunch with you and make a day of it because there aren’t many good eateries down here. The Elephant Beach is a short, walkable distance away from the Radhanagar Beach. 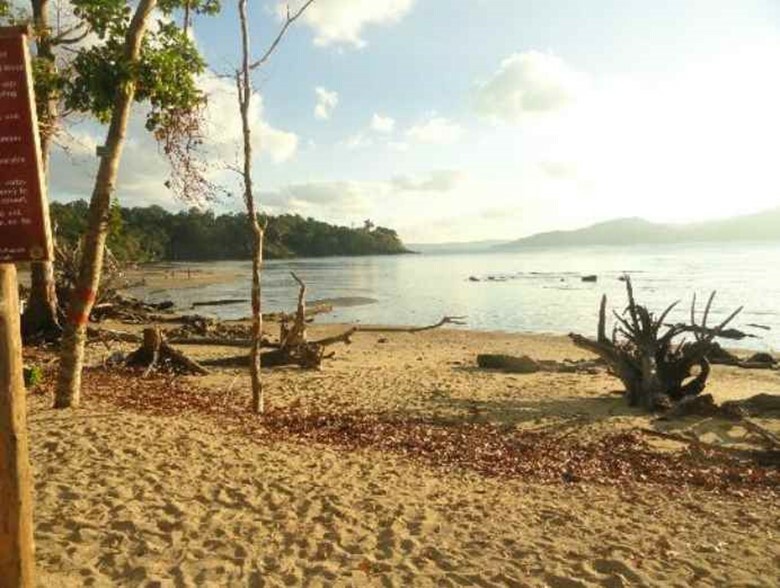 It has white sandy beaches too but the special attraction of this beach lies in its corals. The coral reef at Elephant Beach starts less than a meter away from the shoreline which is a rare occurrence globally. The beach is also popular for its diving and snorkeling opportunities, and equipment can be arranged with ease. There are other water activities to enjoy here too. So, if you’re looking for some adventurous time on your honeymoon, Elephant Beach should be on your list of places to visit in Andaman because what’s an Andaman honeymoon without some water thrills? Topaz blue waters, the peaceful murmuring sound of the waves, and a solitary beach- what better place for a honeymoon outing? The Amkunj Beach on the Northern Andaman is such a place that makes you stay for long. It rarely witnesses tourists as people tend to visit the southern side of the island more. Moreover, there is a lack of the popular commercial activities like snorkelling or swimming which tourists like. Since the beach is covered in rocks, water activities are not an option. But if you are looking for some quiet, pleasant time with your partner, the Amkunj Beach is a good option. 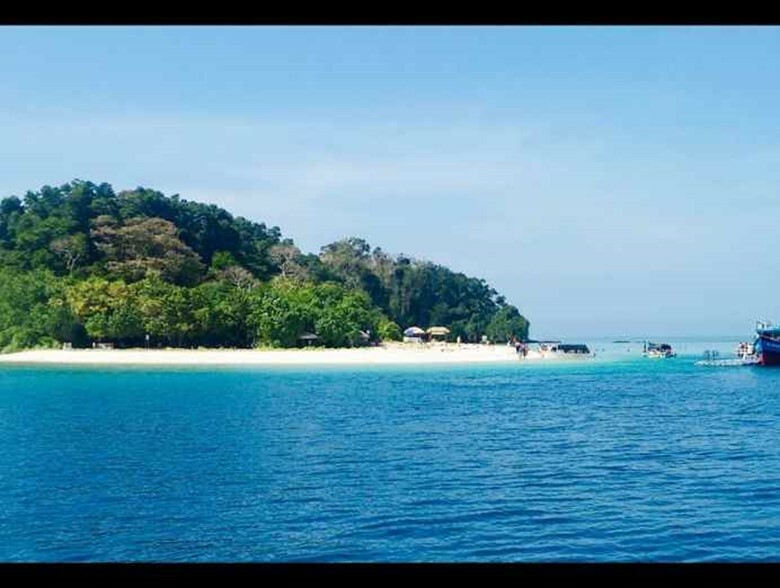 An island with a painful past, Ross Island is specifically attractive as a historical tourist destination like Cellular Jail or Viper Gang Jail. The island was set up as a penal colony by the British to punish those who participated in the 1857 Rebellion. It came to be known as “Kalapani”- the place where unspeakable horrors came to be committed. It was later invaded by japan during World War. The island now rests in peace after the tragedies it has seen and visitors frequent the little island in order to pay homage to those who paid in blood to secure India’s freedom. An hour’s journey by ferry from Wandoor Beach over a crystal-like sea makes even the journey to Jolly Buoy a memorable experience. The island is a part of the Mahatma Gandhi National Marine Park, one of the two islands of the park open to tourists but only in specific months. The island offers a great opportunity to dive into the sea and experience the marine life. Scuba diving and snorkeling are famous options so make sure to wear your swim costumes underneath (changing rooms are non-existent). You can only visit Jolly Buoy on one of the ferries that operate up to 10.30 am from Wandoor Beach. The Little Andaman Island is a little-known jewel in Andaman which is fast gaining popularity as a surfing destination, one of the few destinations around Andaman and Nicobar. There is a surf school here which offers lessons to visitors and provides equipment. Apart from hanging out on the beaches, tourists can take an elephant ride or go trekking. The best and the most fruitful trek is the one to the White Surf Waterfall, a big waterfall which throws up white mists all around. The trek leads through a jungle and the waterfall is located in the midst of this setting. 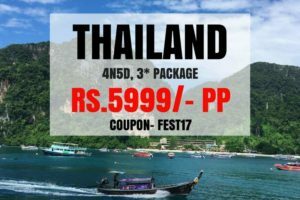 A truly remarkable honeymoon destination that you have to visit on your Andaman and Nicobar honeymoon. Great Nicobar Island is one of the largest islands in the Nicobar group of islands and a magnificent natural ecosystem. It is only open to Indian tourists. 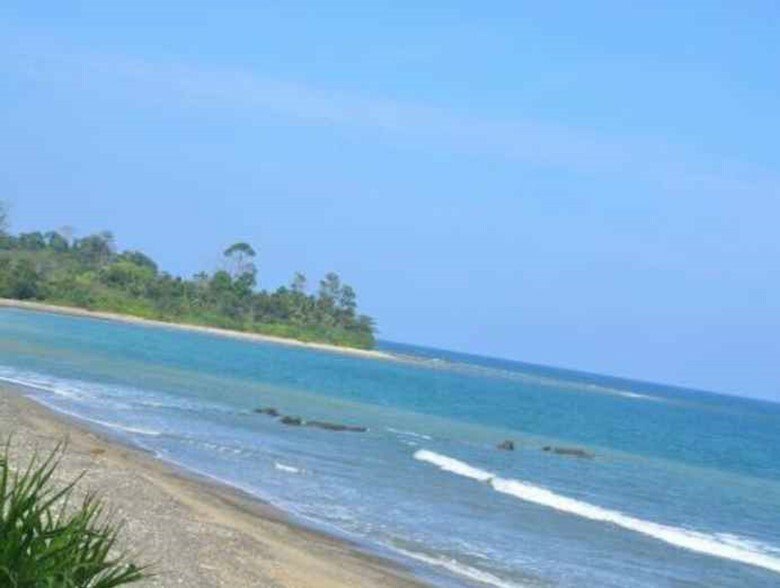 The island features some of the most exotic settings in Andaman and Nicobar among the top of which is Indira Point, a place of such magnificence that it will be difficult to leave from there. 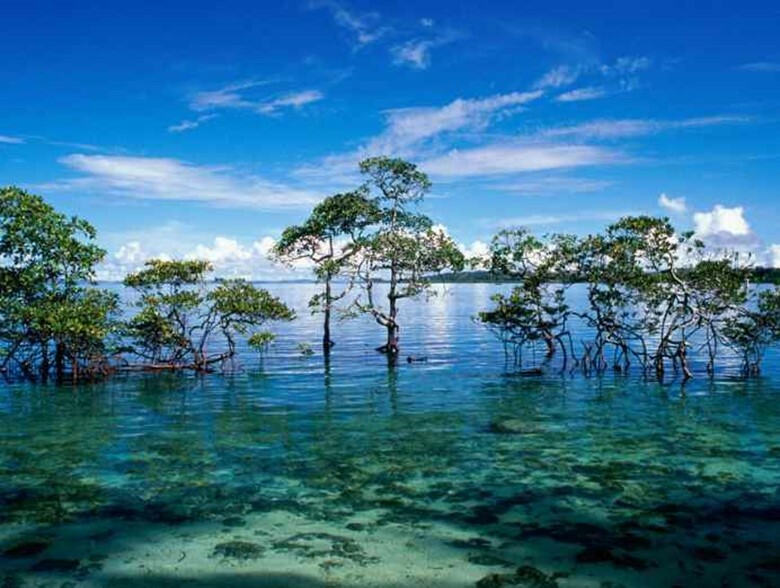 The Great Nicobar Biosphere Reserve is also a place worth a visit. You can get to Great Nicobar Island via air. The Andaman Nicobar honeymoon is incomplete without reaching Great Nicobar Island. 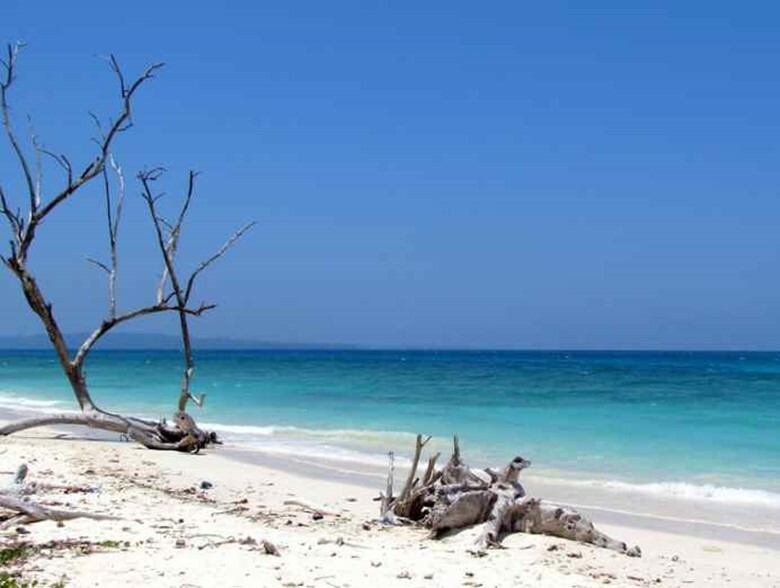 Located at the southernmost tip of South Andaman, Chidiya Tapu is a wonderful place to visit on an Andaman honeymoon. The place boasts of several natural attractions. You can experience a wonderfully romantic sunset as well as experience the ocean’s ever changing colours. Birds of various feathers flock here making it a very energetic location. You can also choose to go swimming here but you will need to keep a sharp eye out for crocodiles. Over all, Chidiya Tapu is not a place you should give a miss, especially on a honeymoon. Go one afternoon to be able to enjoy the sunset. 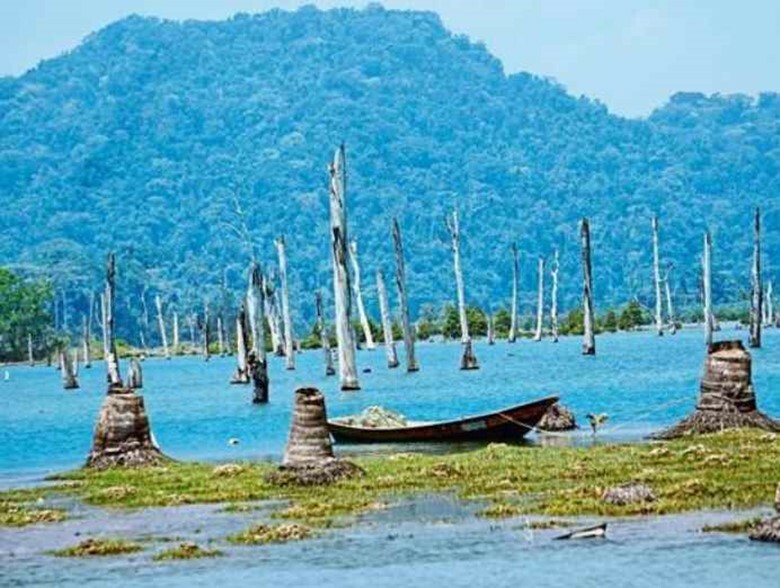 Mahatma Gandhi Marine National Park is one of the must see places in Andaman, 20 islands fall with the perimeter of the park’s boundaries, making it a great way for the authorities to monitor conservation projects. Tourists can visit Jolly Buoy Island and Red Skin Island and engage in snorkeling and scuba diving. The park also has an Interpretation Centre which is geared to educate tourists about the flora and fauna of Andaman and Nicobar, and makes for an interesting visit. You and your partner can also ride in a glass-bottomed boat in order to experience the exotic fishes and coral reefs below. The myriad sky-blue lagoons and secluded beaches make Andaman the most flawless honeymoon destination in India. If you are intending a trip to Baratang Island, you must visit the Limestone Caves which are situated a little way off. 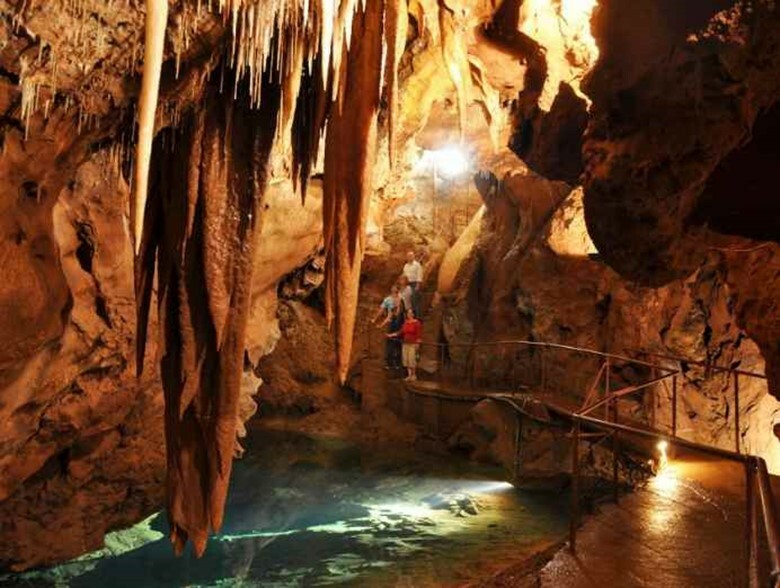 The caves are a completely natural phenomenon and over the years, they have turned into beautiful formations that startle the eye with their intensity. Reaching the caves is an experience to remember too as you had to pass through a dense mangrove forest and tribal reserves to reach the caves? If you’re lucky, you might also be able to spot crocodiles taking a sun-bath on the rocks. And once you reach the caves themselves, be prepared to be mesmerized. Remember to take a reliable guide and good walking shoes.